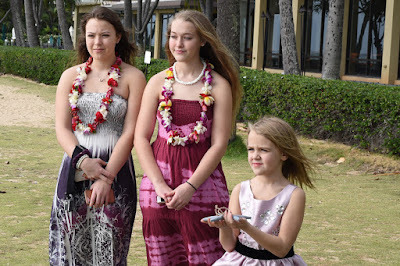 Attractive bunch of young ladies at Jessica's wedding in Kahala. Thank you for adding beauty to the special day. 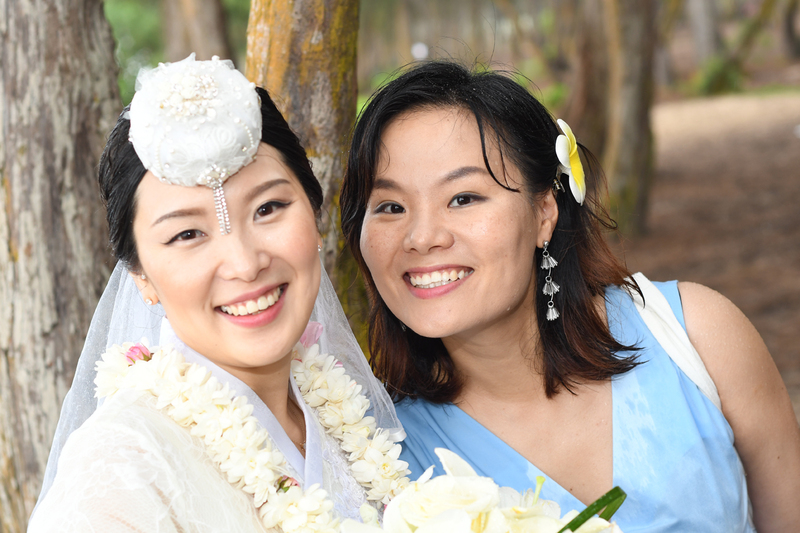 Korean Bride Yooseo and her Bridesmaids at her Oahu Wedding. 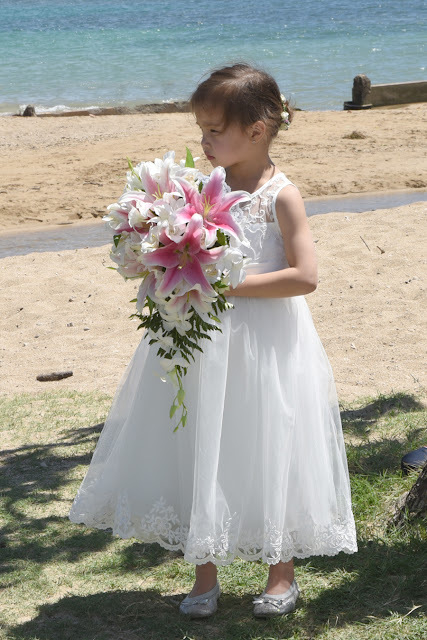 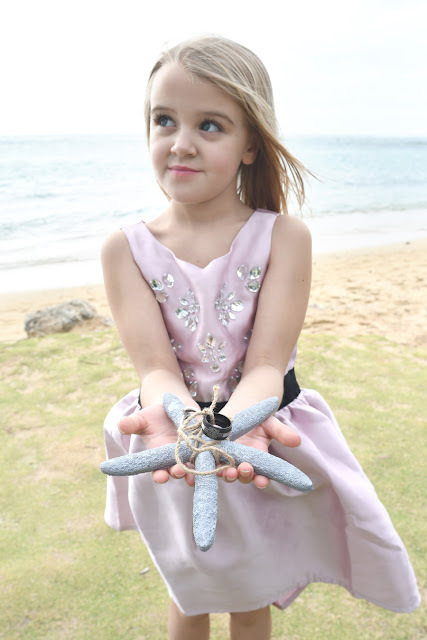 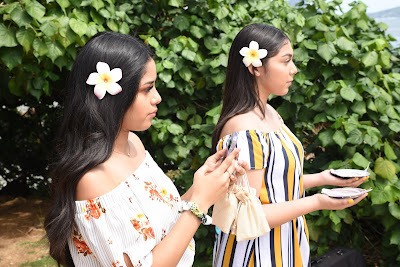 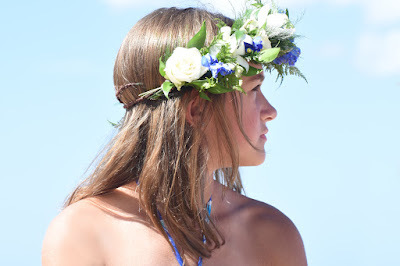 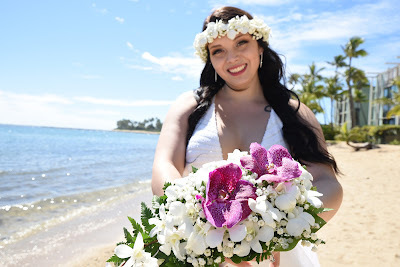 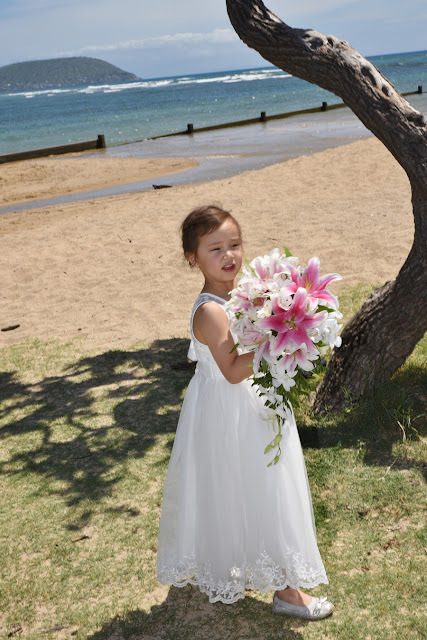 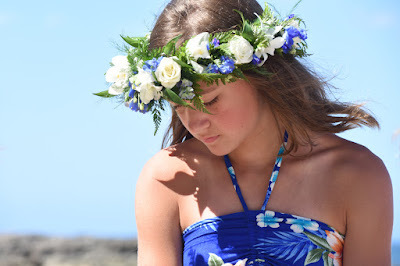 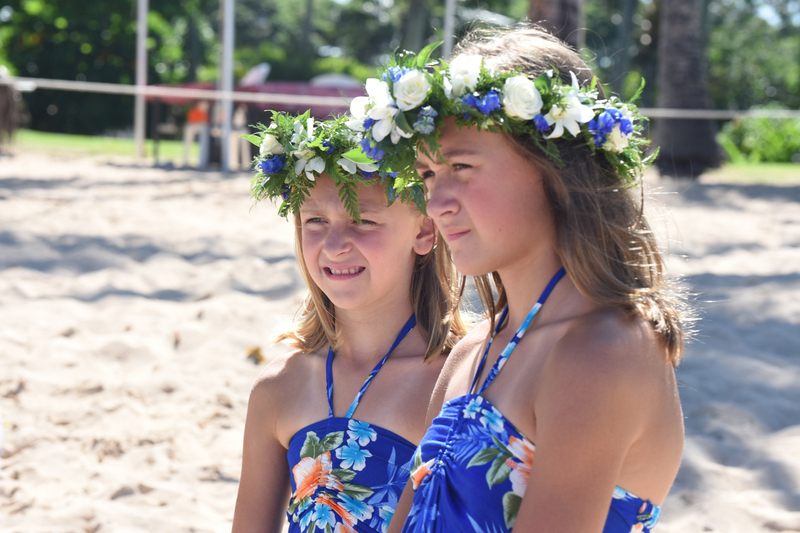 Photos taken at Waimanalo Beach on the Windward side of the Island. 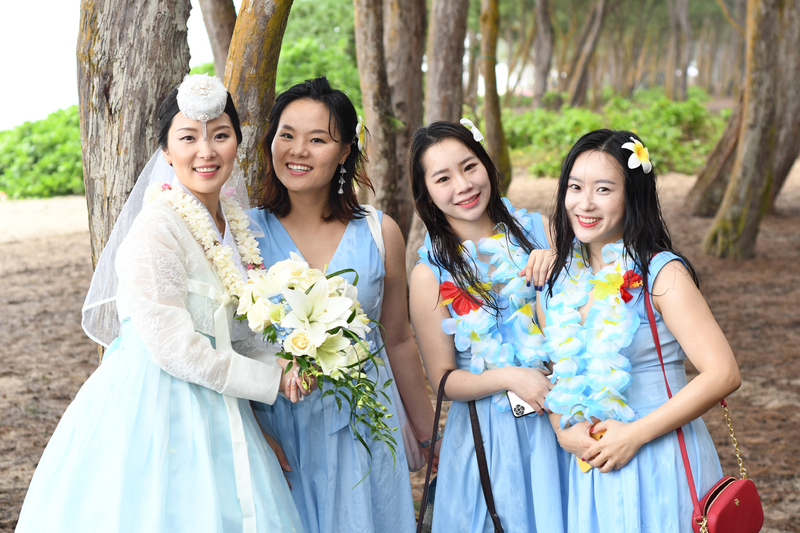 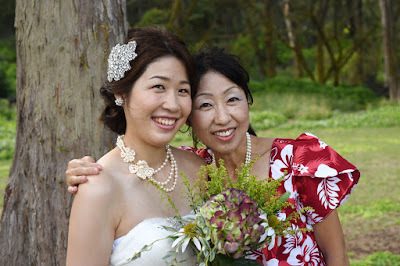 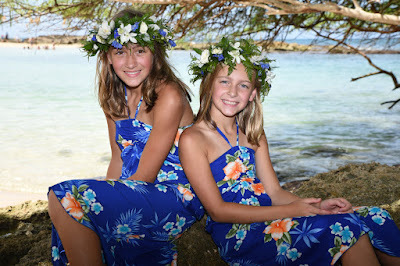 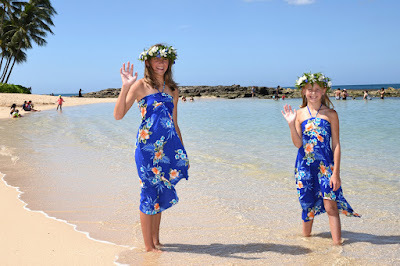 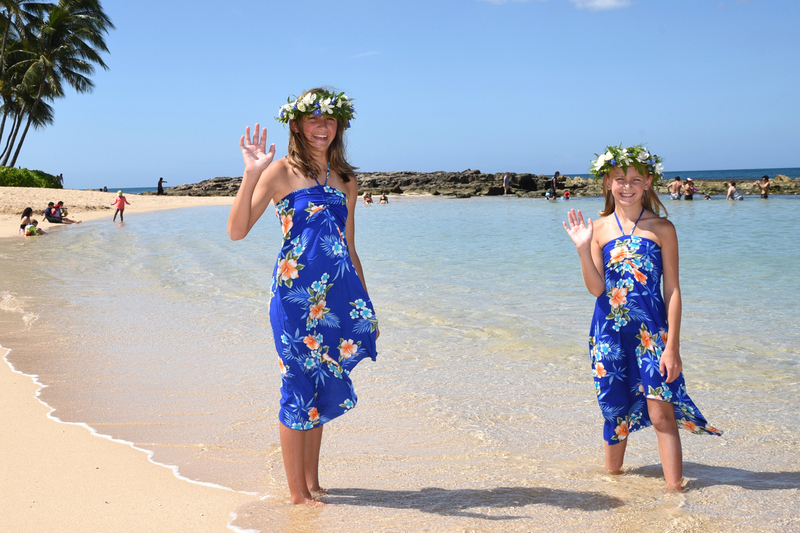 Greetings to you from HAWAII BRIDESMAIDS! 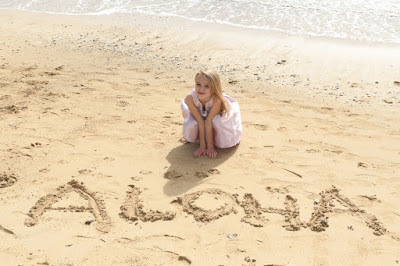 Cute young lady poses by "ALOHA" in the sand. 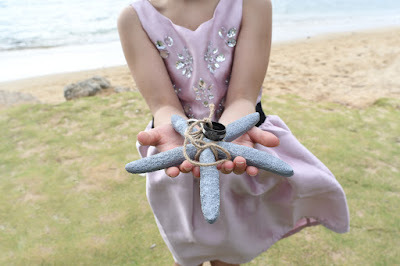 Great idea for a starfish "ring pillow". 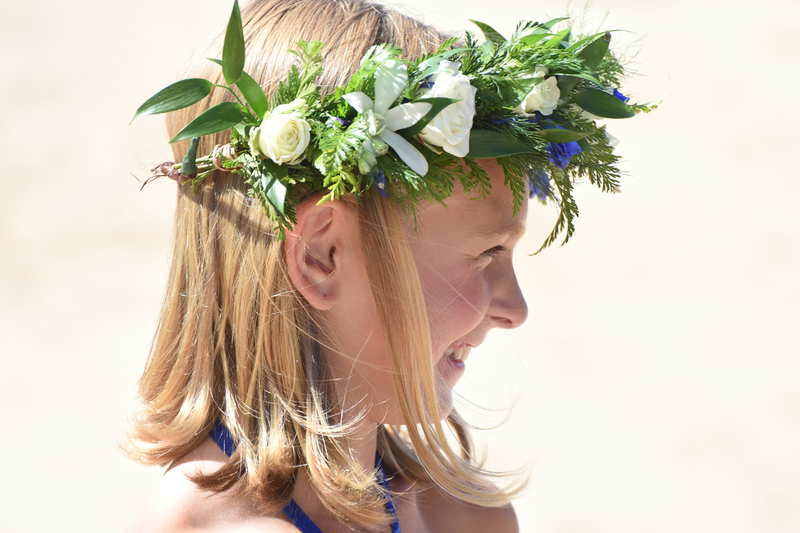 Unique ideas add to the fun and make your wedding your own personal style.